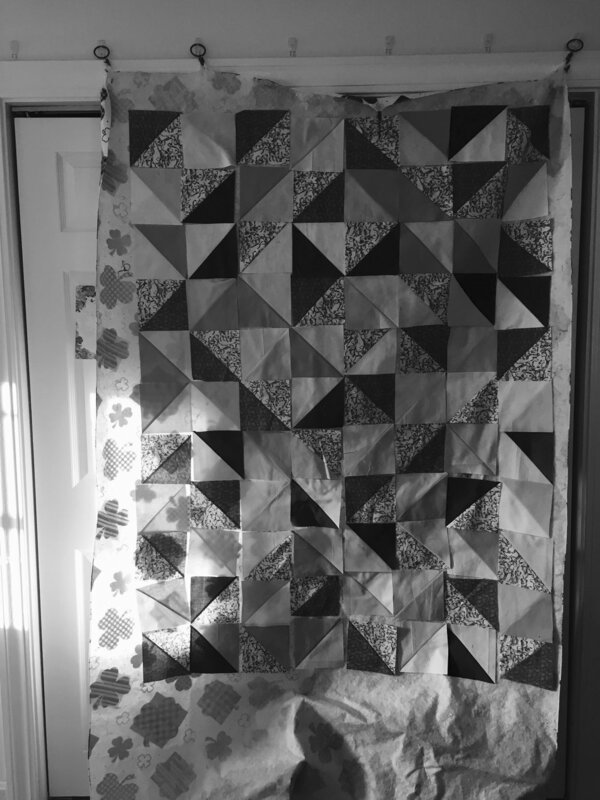 I got the last 2 UFO quilts in my stack quilted last week. We had a couple cool days in New England and so it was the perfect time to finish them. 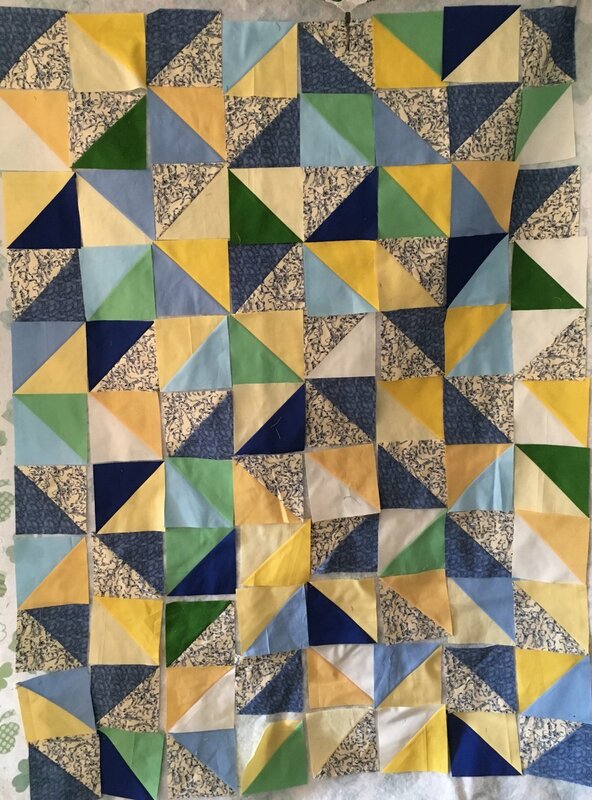 It's not so fun to quilt when it's hot and humid! 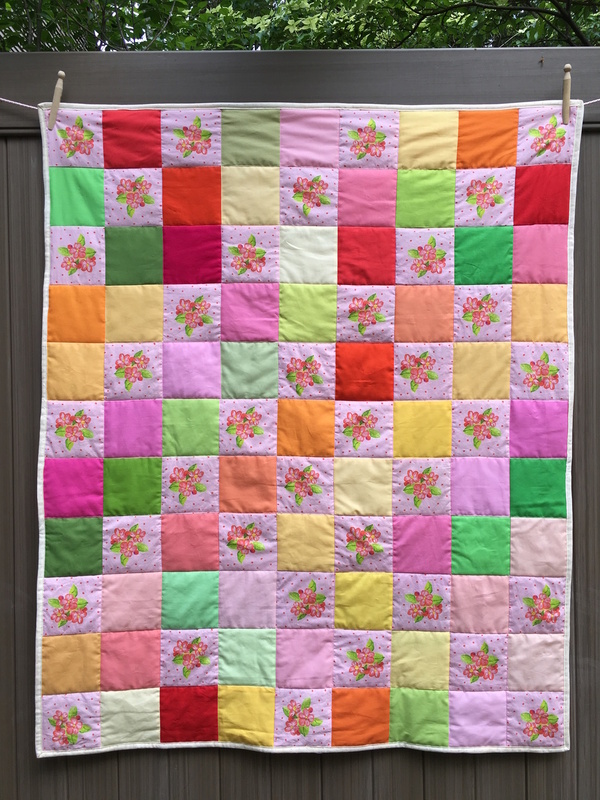 This is my Apple Blossom Charm square quilt, using my "Apple Blossoms and Dots Pink" fabric printed by Spoonflower.com and 2 Kona® cotton solid charm square packs, Warm Sunrise collection. 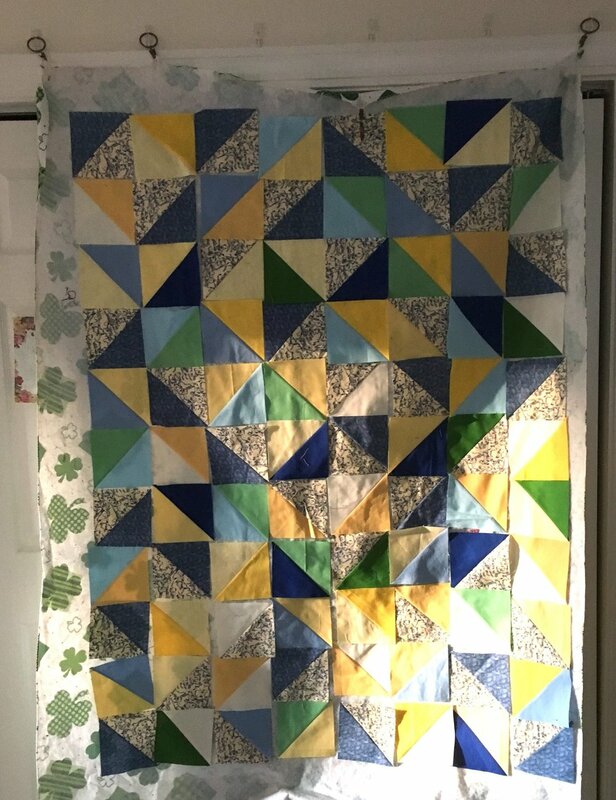 It was quick to sew up and I love the colors. Here's the back. My backing fabric is the same "Apple Blossoms and Dots Pink" print but in a much larger scale. Only the smaller scale version is available for sale at the link above. I keep a "dog quilt" on the foot of my bed where my dogs often end up. This is the new addition. 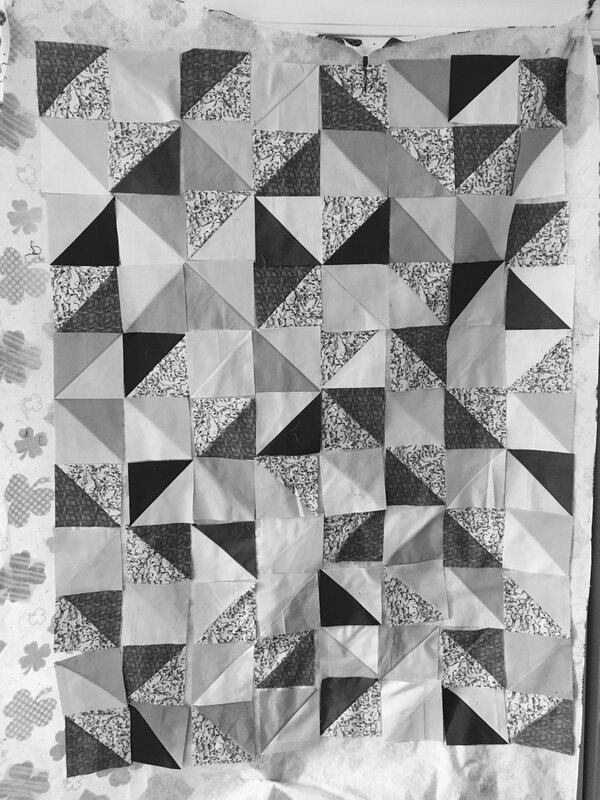 They are quick sews--charm square quilts with polyester batting so that they can wash and dry easily. With these bright, happy colors, I know it will make me smile every time I look at it!